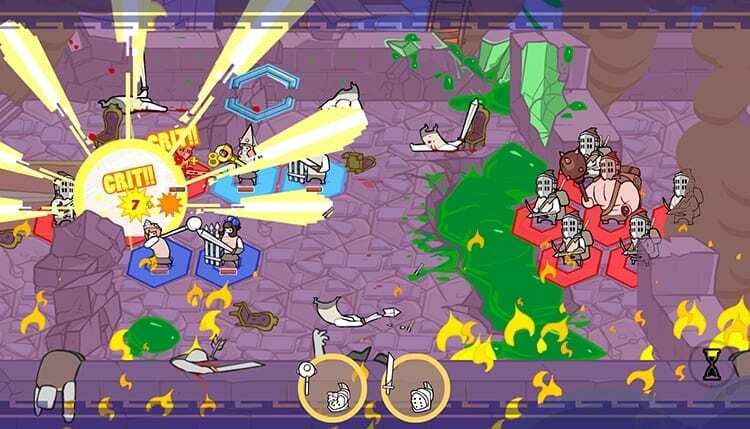 Pit People, the humorous strategic battle game from The Behemoth is now available on Steam and Xbox One. The game is currently in early access on Steam and Game Preview on Xbox Store. The early access will let you access a prominent part of the Story, several world maps, quests, Unfair Challenge against the AI, and Versus mode. You can play the game either in singleplayer mode, or team up with your friend in the two-player co-op mode. The Versus mode can be played with up to 4 players in 2v2. Interestingly, all multiplayer modes can be played locally or online! This will also help Pit People make a firm position in the esports arena.